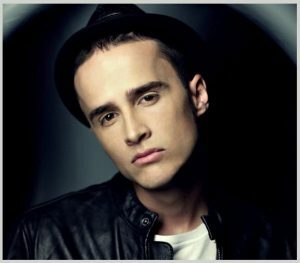 Peter was the Musical Advisor, Vocal Coach and Piano Accompanist on the Romanian version of Your Face Sounds Familiar from February 2011 to December 2016 before he moved to Australia. Your Face Sounds Familiar contestants for whom Peter was a vocal coach, piano accompanist, and vocal advisor for include the following artists, some of which have over 1.75 million facebook followers. One of the best vocal coaches that my country lost in favour of Australia! Professional! This is the word that can summarise my interaction with Peter. A dedicated musician, with an extensive musical experience! A reggae, dance, and R&B singer born in Romania. He is also known for his collaboration with well-known names like Connect-R in "Summer Days", DJ Chris Mayer in "Confused" and Mossano in "Indianotech". Bambi is a pop music band in Romania composed of Denisa Tanase and Raluca Tanase. The sisters have had TV appearances on "Ba da, no no", "Beware of the colt" and "Abracadabra", and released many albums which were broadcasted on all radio and TV, one of which won the Golden Disc award. Musician and pianist known for her featured hit 'Tell Me Who'. Romanian born singer, TV personality, actress, and member of the LaLa band. Alina features in a teenage sitcom series, Dancing with the Stars, and the Romanian voice dubbing for Disney's Beauty and the Beast. Romanian opera countertenor, singer and pianist, sometimes known by the stage nicknames "Cezar The Voice [Voice]" or simply "Caesar". He performed alongside Andrea Bocelli and Angela Gheorghiu at Bocelli's concert in Romania. Romanian singer. Anda was the favourite studio voice for most well known producers, the favourite show partner for the best artists, and the favourite media subject for TV, radio and press. She performs in front of over 50.000 people at the biggest concert in Bucharest - Forza Zu. Anda's hit single 'Am Chef' received over 2 million views on Youtube in less than 1 month after its release. Romanian singer, dancer and television presenter. He was the presenter of the Romania dance show, broadcast on Antena 1. George is best known for the main role in the Romeo and Juliet musical in Romania. NiCO won many awards including the best vocalist award at the National Theater of Contemporary Festival in Constanta, and best female voice at the "Ion Vasilescu" Festival.She also appeared on Eurovision. Romanian actress and singer best known for her appearances on numerous TV comedy sitcoms. Romanian latino singer, composer, tv presenter, actor and songwriter. He was the only contestant that won two seasons in a row on the Your Face Sounds Familiar. At 19yo, Adina has already won many awards internationally and appeared on the X Factor. She won the 4th Season of the X Factor. Romanian actor, singer and TV presenter best known for his black humor, acting skills and immaculate memory for any role. Growing up in a family of artists, 19yo Karmen launched the first single of her career, Domino, in early 2015, which soon became a big hit, bringing over 20 million views on Youtube. It didn't stop there. Her latest track S.O.S has over 8 million views. Romanian television actor, composer, dancer and singer. Dorian currently tours across Romania. Singer, musician, and composer born in Romania. He made a hit that was the longest standing on the Romanian billboard (32 weeks). Mike's music is aired on radio and TV all over Europe. Romanian actress , painter and singer . She is best known for her role in Tony Gatlif's film Gadjo Dilo. Romanian pop singer known in the songs: " We Feel the Same" and " Kamelia. Antena 1 TV Presenter, Actress, TV Producer, MC, Writer, CNFPA Certified Trainer. Paula also won the Best comedy actress - International Film Festival Hyperion. Romanian pop-dance singer, model, judge on The Next Star show, and TV personality. Romanian actress and singer was part of 4 seasons of Your Face Sounds Familiar and won the 6th season of the show. She also features in theatre, in film, and television shows. Actor, musician, composer, lyricist, vocalist, TV presenter. From 2000 to 2017, his band has had more than 4000 concerts, national and international festivals. Pop & Rock singer and a member of the Constantin Tanase Theater in Bucharest. He has featured in the International Voice of Asia festival, national Festival of Mamaia, and the Pamukalle International Festival in Turkey. Romanian singer and songwriter who became known for her participation in the Romanian Voice show. From her first release, 'Whisper', she has been constantly broadcast on radio and TV, and her songs have been on top of the most popular radio and TV tracks in Romania. Recently she won 3 trophies at the Media Music Awards 2017. X-Factor finale contestant. Romanian television presenter and singer. Season 3 X Factor winner. Ellie White Romanian pop and dance music singer and songwriter. 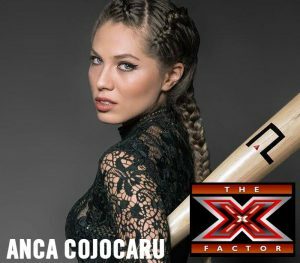 Romanian singer-songwriter, TV celebrity, dancer, philanthropist, former model, fashion designer, a judge of comedy TV show iUmor, and coach of TV music competition X Factor. Singer, actor and composer. Liviu won the 9th season of Your Face Sounds Familiar. In 2017, Teodorescu, along with the professional dancer Marica Derdene, took the podium in the show-show Look who's dancing! Romanian jazz singer and TV personality. She appears on Your Face Sounds Familiar, Splash, and You Know the Water. Initially an opera singer, she is also known for her jazz shows. Moldavian singer, composer and actor, best known for his role in the TV series A Bet with Life and for his huge vocal range. Romanian singers and fiddlers, they sang on the most important stages all over the world. They won the 2002 BBC awards for world music, and was presented with the award by Johnny Depp. Theo received an impressive number of trophies and awards at national music competitions, where famous artists, as members of the jury, have repeatedly mentioned that she is a vocal phenomenon. She also attended the Romanian Top Hit Music Awards. Moldavian singer of pop music. Contestant on the X Factor. Nicoleta released many singles, one of which reached the music charts in Romania and Moldova. Andrei Vitan is a Romanian singer and appeared in the Romanian version of The Voice. He has written songs that have reached over 174 million views on YouTube. Peter is the vocal coach for Andrei Vitan from 2015 and advised him on vocal technique, specifically solving the ability to sing a song that was out of his vocal range, advising on pop music composition, and the proper use of scales and modes which increases the popularity of a song. Peter provided vocal coaching in preparation for X Factor auditions (vocal technique and best song selection). Romanian contestants include Anca Cojocaru. In some cases where the contestants were unprepared, or not meant to sing, Peter had to convince them not to audition to avoid an embarrassing situation.